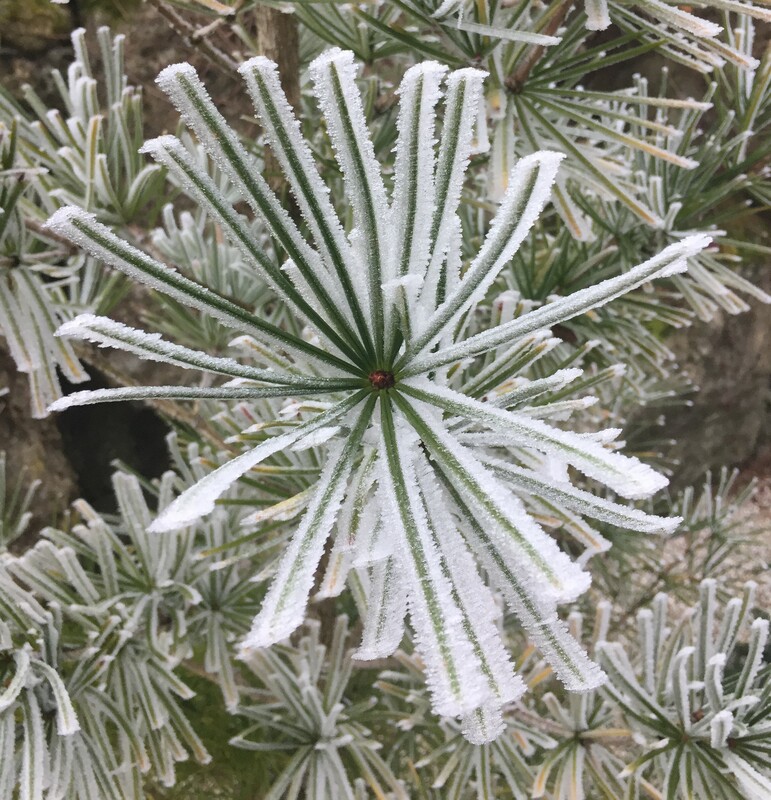 This entry was posted in Photography, Pictures, Switzerland and tagged Frost, frozen, Japanese Umbrella Pine, Photography, Picture, Switzerland, Winter by Erich Styger. Bookmark the permalink. Erich, great shot. The frost gives it a neat effect. thanks! It created a really nice crust. The interesting thing is that the ice crystals were growing only one the sides, not on the top or bottom side of the leaves. Not sure why. Looks like the wind has gone from left to right and then right to left. The leaves at 9 o’clock look like they have ice on the top and bottom. I always enjoy your pictures. Have a great holiday season.